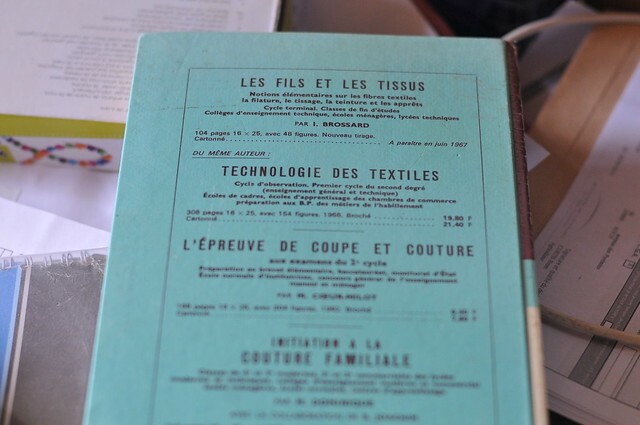 It is Vide Grenier season. The weather is lovely (ish) so it’s time to clean out your attic and sell some stuff. In Southern California, they would call this a “swap meet.” This is where you clear out your garage and sell interesting treasures. … or pastries … or tell people about local beef available direct. 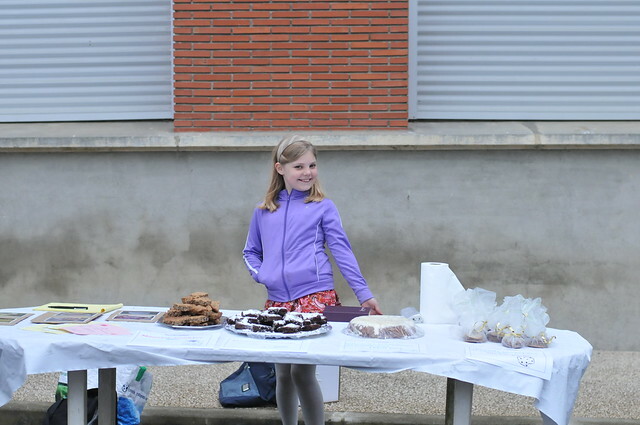 Lucy spent the day before baking various yummies to sell. Her star product was her American Brownies ( which will also be part of the Western Dinner for the summer ). Though, her “jam cake” was a hot seller as well. 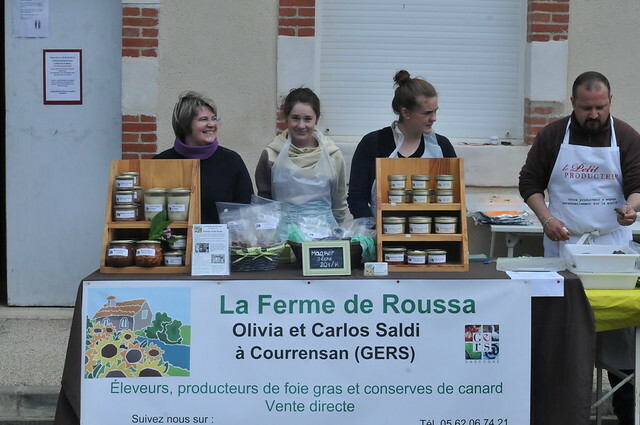 Other culinary yummies were La Ferme de Roussa offering amazing products and hot ducky sandwiches involving duck hearts or magret ( duck breast ). I ate the duck breast one, amazing! Brent wandered over after he moved the cows with the other two kiddies. After a look around, he found a most intriguing book. 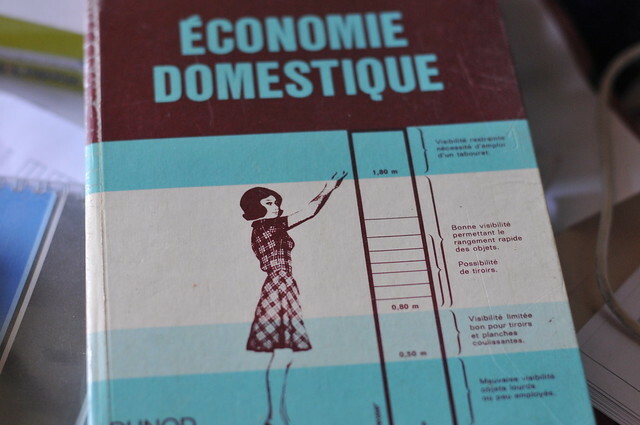 In America we would call it ” Home Economics.” In French it is ” économie domestique.” And doesn’t that M.J.V.B look all cute standing next to a chart! 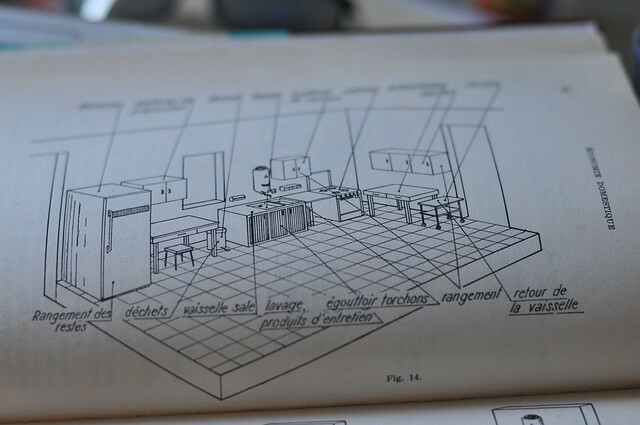 ( Brent will tell me off for that joke ) The chart has something to do with visibility of objects … I need to read more to understand. Oh and look! Other books with girls and cloth! and geeky girl cloth technology! Despite the threat of rain, the vide grenier was wonderful. Lucy sold out quickly and then went shopping.